Swollen glands in the neck can have a variety of causes ranging from flu, mononucleosis, a tooth abscess or an infection of a salivary gland. Regardless of the cause, swollen glands are usually painful. Using home remedies to help reduce swelling and pain may be helpful in certain conditions. Some herbal remedies may produce side effects. Individuals should speak with their physicians before trying herbal remedies. Herbalists use echinacea to clean the blood and boost the immune system. Scientific evidence is mixed; however, there are reports that echinacea has the ability to help shorten the duration of a cold, according to the University of Maryland Medical Center. 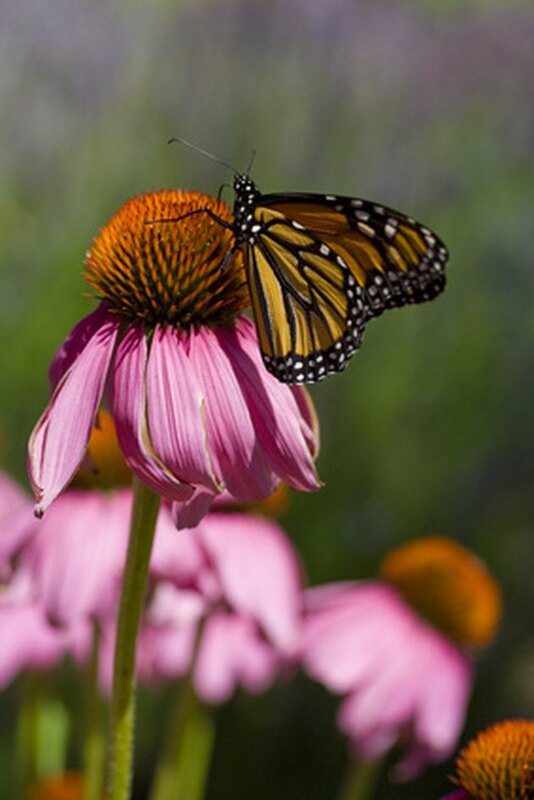 Herbal practitioners practicing both Western and Eastern medicine have prescribed echinacea to reduce swelling of the glands and treat colds and flu. Echinacea can be taken as a remedy in either powdered form in capsules or by adding the liquid extract to juice. The recommended dose is 300 mg, three times daily, according to University of Maryland Medical Center. The remedy should only be consumed for the duration of the illness and for no more than seven days afterward. Nursing mothers and those taking immune-suppressing medications should avoid echinacea. Individuals should speak with their doctors before using echinacea. Ginseng is an ancient remedy used by both Chinese and Indian cultures for various conditions, including the treatment of colds and flu accompanied by swollen glands. The University of Maryland Medical Center mentions that American ginseng may be helpful in preventing colds and can lessen the intensity of symptoms such as fever and swollen glands. Ginseng is available in powdered form in capsules and also as a liquid extract. The recommended dose is 400 mg daily. Ginseng is generally considered to safe for use in the treatment of acute ailments; however, a health practitioner should be consulted to ensure it is the correct remedy. Using a salt-water gargle may help reduce inflammation and speed recovery in some cases of swollen glands and sore throat, according to MedlinePlus. Individuals should mist 1/2 tsp. salt with 1 cup warm water. Once the salt dissolves, the individual should gargle with the mixture several times a day. The "Concise Encyclopedia of Foods and Nutrition" adds that the salt may reduce throat pain. In the case of swollen salivary glands, salt-water gargles may be especially helpful in lessening the swelling and helping the glands reduce in size. Turmeric can be used as a gargle with 1 cup warm water mixed with 1/2 tsp. or one capsule turmeric powder, suggests "The Green Pharmacy Herbal Handbook." Turmeric is known for its antiseptic and anti-inflammatory properties. Turmeric can also be ingested in supplement form or as a tea for treatment of colds, flu and other infectious conditions that cause swollen glands. To make tea, turmeric root can be cut into a 1-inch piece and steeped in 2 cups boiling water for 15 minutes. The turmeric root should be removed, and the individual can sip the tea throughout the day. Turmeric can thin the blood, so people taking blood-thinning medicines should avoid using this herb. Individuals should use caution when using tumeric. The homeopathic remedy Mercurius solubilis may be helpful in treating conditions where swollen glands occur, according to the "Materia Medica of Homeopathic Medicines." The person needing Mercurius may have a high fever, sweat and have excess salivation and a strong, unpleasant odor to his breath. Other indicators for this remedy are swollen glands in the neck and indentations from the teeth showing along the side of the individual's tongue. The person may feel alternately chilly and then warm. Individuals should consult a homeopath for specific dosing instructions and use caution when using this remedy.